Pick them yourself or buy them at the market: the season for berries and mushrooms lasts through summer and autumn. Nordic growing conditions are harsh yet productive. The berries and mushrooms that grow in Finnish forests are part of the traditional Finnish diet, and gathering them is a pastime for many families that has been passed down through generations. The fruits of the northern forests are coveted by gourmet chefs, and are increasingly exported. Towards the end of July, Finnish grandmothers put on boots, tie scarves around their heads to protect their hair, and then disappear into the woods. As twilight falls, they return home laden with treasures — bilberries, raspberries, lingonberries and mushrooms. Approximately 500 million kg of berries and a staggering two billion kilograms of mushrooms grow in Finland’s forests every year and the tradition of picking wild berries and mushrooms is as popular as ever, despite urbanization. One study shows that 56 percent of Finns, irrespective of their socioeconomic status, go to pick forest berries at least seven times each summer. The most enthusiastic berry pickers are elderly women: 87 percent of them in the age group 60-74 pick wild berries. Northern and eastern Finland produce the largest quantities of berries, and the people living there are the most active in picking them. In the region of Kainuu, in northeastern Finland, each household picks an average of almost 60 kilograms of berries a year. The berries are turned into juice or jam to preserve them for the winter, or frozen without processing to retain their valuable nutrients. Cleaning the berries of their leaves and stalks, putting them in freezer boxes and freezing them is a common summer occupation for the whole family. 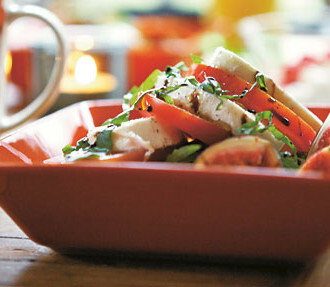 At the end of summer, kitchens are filled with the fragrance of freshly made jam or juice. Berries and mushrooms are also picked to sell. Demand well exceeds supply, which is mainly because there are not enough pickers and only a tiny proportion of what grows is gathered. In recent years, this shortfall has been partly filled by pickers from Estonia, Russia and Southeast Asia. 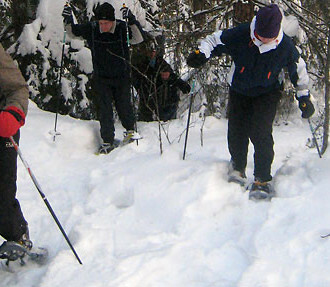 Finland has universal rights which allow everyone to move freely around the countryside, to pick berries and mushrooms and to fish with a rod and line, without permits. Any money made from the sale of this natural produce is exempt from tax. The income from picking berries in years when there is a good harvest is a significant bonus for many households in eastern and northern Finland, and of course also for the pickers from abroad. A significant proportion of the wild berries and mushrooms that are sold are exported. 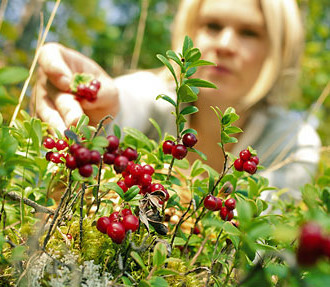 This applies to more than 60 percent of bilberries and lingonberries and to more than 90 percent of ceps. Germany, Austria and other continental European countries have traditionally been the destination for these exported berries and mushrooms, but lately Japan and China have increased their demand. A new speciality that is greatly valued in Japan is the matsutake (pine mushroom) which is also found in Finland. The Finnish Forest Research Institute has started to chart the places where this species grows, and it is already being exported for Japanese gourmets. All this enthusiasm is scarcely surprising considering that Finnish berries and mushrooms are incredibly tasty. When important guests visit Finland these delicacies are practically guaranteed to be on the menu at formal dinners. Anyone who comes to Finland and is interested in new culinary sensations should try the fruits of the Finnish forest. Lingonberry (Vaccinium vitis-idaea). In September, Finnish forests turn red with lingonberries. The berry is known as the red gold of the Nordic forests, and with good reason; the lingonberry is abundant, easy to pick and incredibly nutritious. Lingonberries contain large quantities of fruit acids, which give them a sharp taste, and they keep well without sugar or preservatives. Because of this, they were an important source of vitamins and other nutrients all year round in Finland long before freezers were invented. 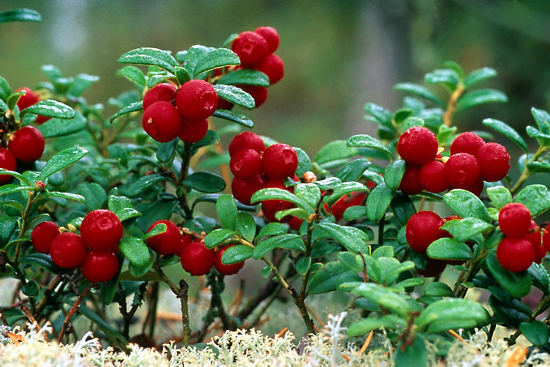 Lingonberries can be used to make jam, pastries and juice and used in porridge and various desserts. 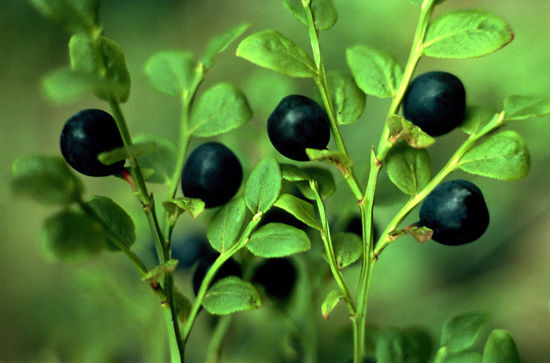 Bilberry (Vaccinium myrtillus). This grows in different types of forests all over Finland all the way to Lapland in the far north. In terms of the volume picked, the bilberry is one of the most important fruits in Finland, even though the harvest is prone to fluctuate significantly. Bilberries contain high levels of vitamins A, B, and C and of manganese, calcium and flavonoids. They lower blood sugar levels and are good for the eyes and stomach. Bilberries have a subtle, aromatic flavour, somewhat stronger than that of the similar, but cultivated, blueberries. They are used to make pies and desserts, whilst hot bilberry ‘broth’ is a traditional energy drink favoured by skiers in Finland. Cloudberry (Rubus chamaemorus). This is the most valued Finnish forest berry and the most expensive to buy. 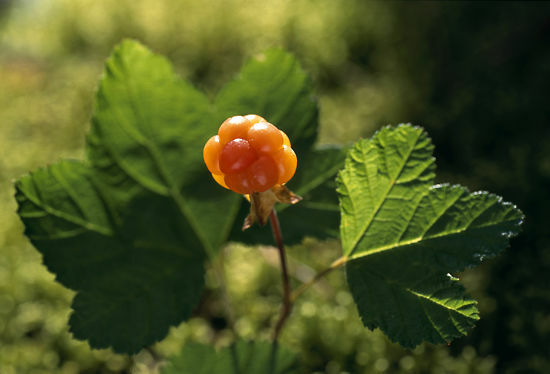 Cloudberries grow best on boggy terrain in northern Finland, often in places that are well hidden and difficult to reach. If someone finds a good spot with lots of berries, it remains a well-kept secret. The cloudberry is related to the raspberry but its plants do not grow as high as the latter’s. 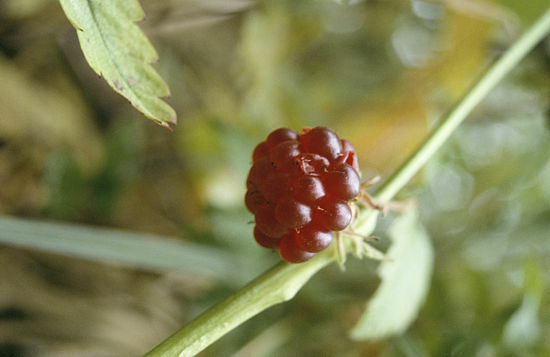 The berries are yellow or reddish and have a sweet taste. They also have rather large, hard seeds, which may take a bit of getting used to. In Finland cloudberries are regarded as a delicacy to be served on special occasions — a cream cake topped with cloudberries is often eaten at family celebrations, when golden cloudberry liqueur is served with coffee. Raspberry (Rubus idaeus). Clear cutting in forests is a controversial practice but it has at least one positive consequence: a few years after timber felling, raspberry bushes will appear in the space cleared. The wild raspberry has spread remarkably along with timber felling over the last few decades, and Finns pick these berries in the same way that they pick lingonberries and bilberries for extensive home use. 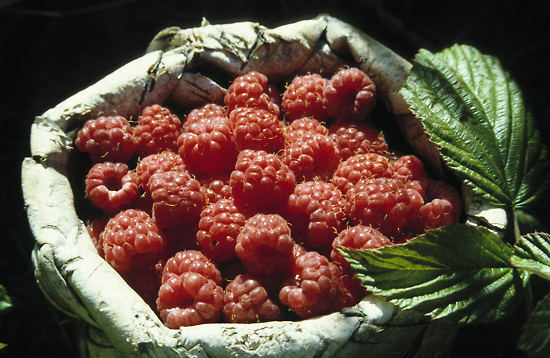 Wild raspberries are hardly ever sold in shops, however. They are smaller and much more tasty than cultivated raspberries. Arctic bramble (Rubus arcticus). This is rarer than the aforementioned berries and is regarded as far more refined. It is also related to the raspberry, but its plants do not grow as tall. The berries are red. Sadly, the wild Arctic bramble is becoming increasingly rare, but for some years now it has also been cultivated. Most of the yield is not sold as fruit but goes for the production of liqueur. Cep (Boletus edulis) and pine cep (Boletus pinophilus). These mushrooms are very common in Finland, except for the northernmost part of Lapland. As much as 90 percent of ceps picked for sale end up being exported, mainly to Italy, where they are regarded with as much respect as truffles. The volume of ceps picked each year varies significantly and their appearance is often a matter of uncertainty. In the hot summer of 2006, it seemed at first that there would be no ceps at all, until surprisingly hordes of them appeared in the space of a few weeks. An operation to gather these fungi was quickly launched, and over 300,000 kg of ceps were dispatched to central and southern Europe. 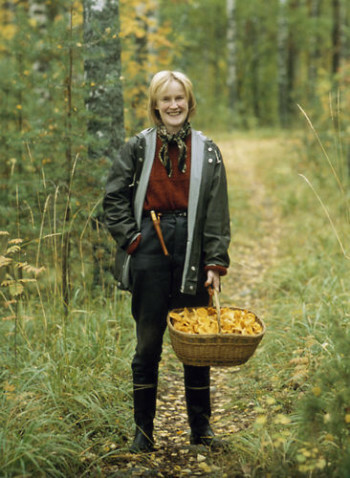 In Finland, the use of mushrooms, ceps in particular, spread from across the eastern border. 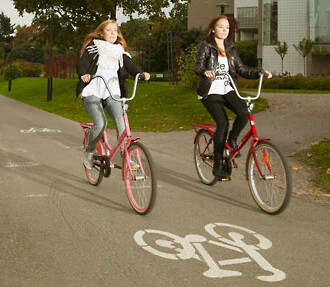 They are not nearly as highly valued in western as in eastern Finland. Finnish mushroom dishes are very Russian in style. Often salted and eaten as a salad, mushrooms are also used to make creamy soups, sauces and casseroles. Chantarelle (Cantharellus cibarius). Every time you see something yellow peeking out from the moss on the forest floor, it is worth taking a closer look and making a mental note of the exact spot, as chantarelles tend to grow in groups and in the same place from one year to the next. And better still, chanterelles never accommodate maggots, unlike many of the other delicious types of mushroom. 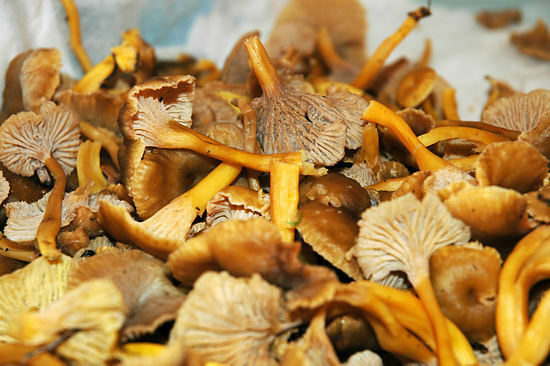 Chantarelles grow in southern and central Finland, and are used to make sauces and soups. Autumn chantarelle (Cantharellus tubaeformis). This is a mushroom that appears in late autumn and can even be picked after the first snow has fallen. You need sharp eyes when you are looking for autumn chantarelles, as they are very small and well camouflaged on the forest floor due to their brown-grey colour. But if you do find one you will often find many, many more nearby. 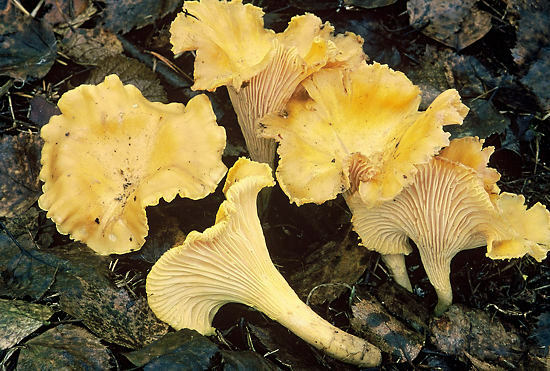 The autumn chantarelle is, like the chantarelle, used in soups and sauces. 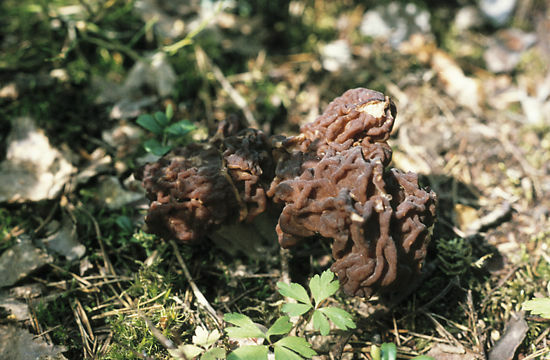 False morel (Gyromitra esculenta). This mushroom is deadly poisonous when raw but incredibly delicious when properly prepared. It has a wrinkly brown hollow cap and can be found on the forest floor as early as April after the snows have melted. False morel soup is a delicacy that is often on the menu in early summer. In order to remove the poisonous substances the mushrooms must be boiled twice in copious amounts of water, which is then thrown away. The mushrooms are washed before each treatment. It is also essential to ensure good ventilation during boiling. False morels are also sold at markets. Sellers are obliged to ensure that buyers know how to prepare them properly and safely. Pine mushroom, (Japanese: matsutake). This has not traditionally been eaten in Finland but has been included in the official catalogue of commercial mushrooms for 2007. 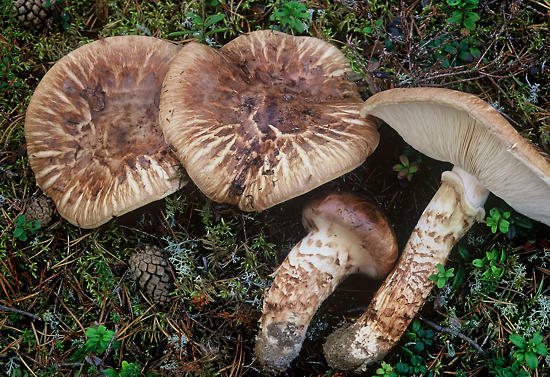 A number of years ago, a group of Japanese tourists found pine mushrooms in Lapland and took them to be identified by Finnish mushroom experts. They turned out to be the mushroom that is called matsutake in Japanese. In Japan, the matsutake is considered a special delicacy on a par with the truffle. It is believed to have an aphrodisiac effect and a kilo can fetch hundreds of euros. 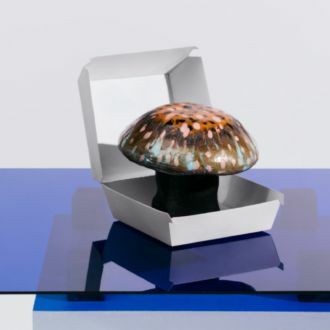 The pine mushroom is a large and compact mushroom that travels well. Mix the softened butter and sugar together. 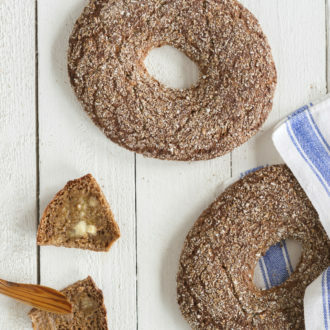 Mix the rye flour, wheat flour and baking powder together and add to the sugar and butter mixture. Press about 2/3 of the dough onto the base and sides of a high-sided oven dish. Add fresh or frozen bilberries. (If you are using frozen bilberries, add 1 dessert spoon of potato starch.) Sprinkle sugar over the bilberries. Cover the bilberries with the rest of the dough. Bake for about an hour at 200 degrees Celsius (390 degrees Fahrenheit). After you have left it to cool for a while serve with vanilla ice cream, custard or whipped cream. Waterproof boots — there can be damp areas in the forest even in dry weather, and boots will also protect you from snakes. The adder is in fact the only species of poisonous snake that lives in the wild in Finland. There are no other dangerous animals or plants. Long trousers and a long-sleeved anorak to protect you from being scratched by branches and from insect bites. A brightly coloured hat, preferably red, is important especially during the hunting season so that you can be easily seen (and not mistaken for a hunted animal). A mosquito jacket will provide effective protection against mosquitoes and deer flies (Lipoptena cervi), which are rapidly on the increase in Finnish forests. A berry picker (a scoop-like device) for picking bilberries or lingonberries. Use the picker to scoop up the berries from the plants — the prongs of the picker will trap the berries, while leaves and twigs fall onto the ground. It is worth learning to use a berry picker, as you can gather about three times more berries than you would picking by hand. A bucket with a lid to carry the berries. When picking raspberries, it is a good idea to attach the bucket around your neck or hang it on your waist so both your hands are free for picking. For picking mushrooms, you will need a basket and a special knife which has a brush at one end for removing dirt. It is also a good idea to carry a small book on mushrooms with you to help you identify them. 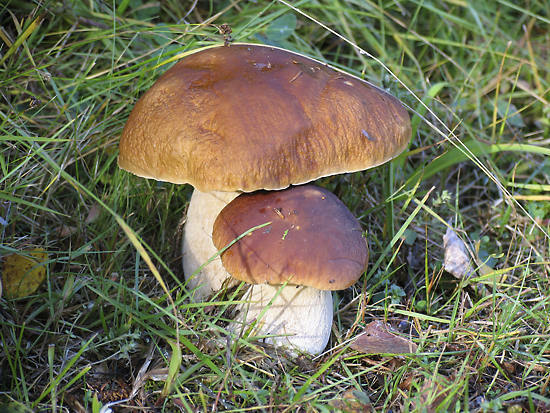 Identifying the most common mushrooms is a civic skill still taught at Finnish schools. 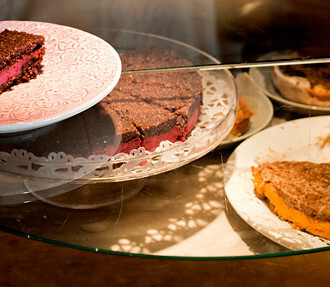 Helsinki’s Johan & Nyström café serves Finnish berries and raw food in delicious treats that are good for you, too.